Only WIP pic is BoInk. Motif #1 is done! The red is DMC satin, and the difference is subtle, but significant, lol. I really like my color choices. They look like jewels and precious metals to me, and they seem to be working together really well. 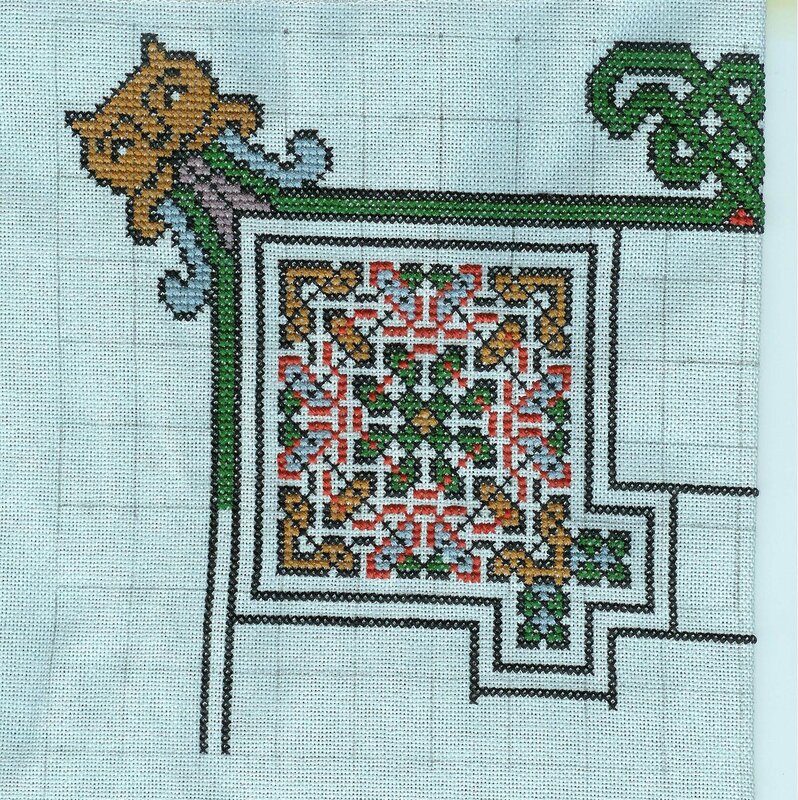 I think tomorrow I will work on the yellow frame around the motif and extend my gridding. I get tired of counting 10 rows over-2, so I only grid more as I need. All the rest of my stitching this week was on a gift, so I can’t show it. I got ink last Saturday (yes, I’m weak), so I printed some patterns for the cancer ornaments. Family busy-ness today – 2 birthday parties this afternoon, a trip to the post office (yes, Theresa, your bracelet is coming with me! ), during birthday party #1 I’m going to spend my Joann gift card (yay) and maybe have an iced latte and read a book without pictures. It’s been one of those weeks. I’ve got my fingers crossed for the 15th and your new house. Love the WIP.